Since February 5, more than 200 undocumented im/migrants, throughout the state of NC, have been arrested and detained by ICE. 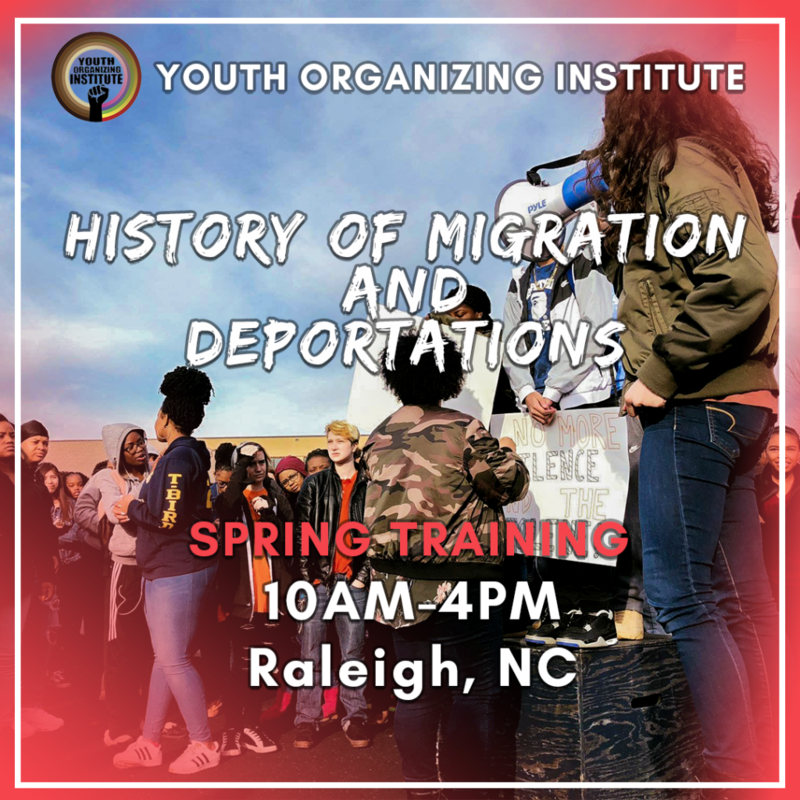 Join the Youth Organizing Institute for our annual Spring Training. 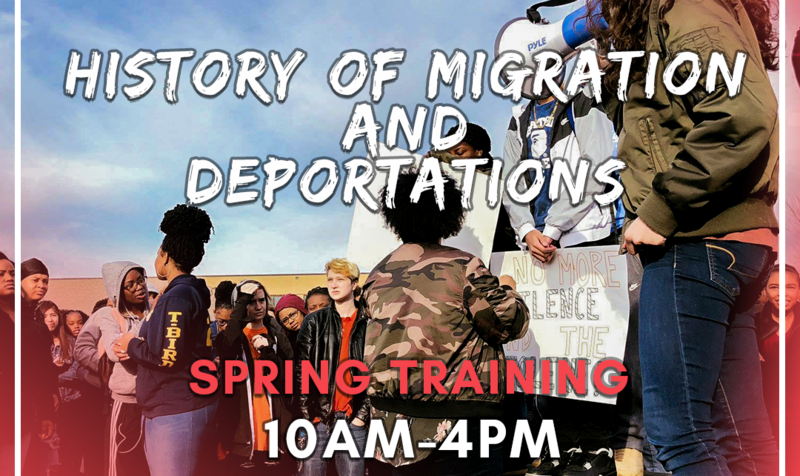 This is an opportunity for high school students to connect and build with each other, while developing shared political analysis and organizing skills.